The Centrifuge Training TQ Bracket allows users to mount a rigid TQ case like those from Eleven 10 to several common Safariland ALS holsters. 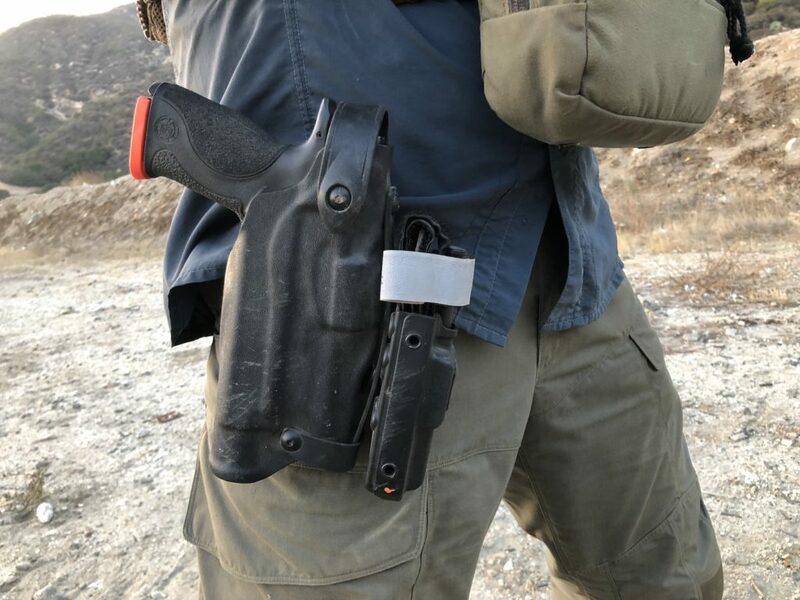 The bracket mounts to the front of the holster which places the TQ in a position that is easily available to either hand. The bracket fits G19/17, S&W M&P 4.25″ light bearing, and other Safariland ALS/SLS holsters of similar size. It will not fit G34/35, 7 series, or SLS only holsters. To be clear, this is just a bracket. The user must provide their own Eleven 10 Rigid TQ Case. Check out CentrifugeTraining.com for full details.